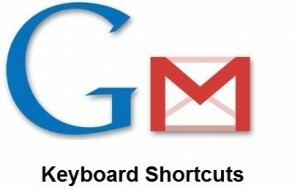 These Gmail Keyboard Shortcuts Saves Your Time ! Now a days Almost every on uses Gmail as a preferred mailing system.I came across this Gmail shortcuts which will definitely helps when using Gmail. short keys are used to execute certain function from keyboard button press.I am sure you will enjoy this shortcuts ! goto settings – General Tab – scroll Down to see Keyboard Shortcuts – select ON. If you like this post please share it !